Just the other day, a conversation amongst a small group of Army, Navy, and Air Force officers turned to the topic of recent U.S. Air Force (USAF) modernization and recapitalization efforts, sparked by the issue of A-10 and MQ-1 divestment and turning to debating the point of the F-35. The consensus from the non-Air Force officers was that they simply did not understand what the big deal was. Why can’t the USAF continue to do what it needs to with what it has? The root of this disconnect was a misunderstanding of air superiority built upon misinformation, a lack of education, and over-generalizations of previous conflicts. That initiated some self-reflection: where does the responsibility sit to educate the other services on airpower, and why does it really matter? My conclusion: airpower education must start at the lowest levels, as soon as it can be understood, comprehended, and propagated. Understanding airpower (capabilities, limitations, and issues that affect it) is a critical element of joint interoperability. Unfortunately, and ironically, even the USAF falls a bit short in the airpower education department. At the root of the problem, what is commonly referred to today as air superiority has become synonymous with what is actually air supremacy. USAF doctrine categorizes the degrees of air control as parity, superiority, and supremacy. Air parity is described as the point of intense conflict in the fight to gain an air domain advantage. The best historic example of air parity is the Battle of Britain in World War II. Whereas air parity is easy to identify, the other degrees of air control are less clear. As USAF doctrine describes it, the difference between air superiority and air supremacy depends on whether the enemy is capable of “effective interference” versus “prohibitive interference” to operations, respectively. Additionally, air superiority can be further quantified as either localized or spanning the entire area of operations. Don’t let the semantics preclude an understanding of the strategic impact one has over another. Air supremacy is achieved when the size, composition, and capability of one air force overwhelms another, thereby making the lesser force’s efforts to challenge the air domain futile. Historically, the over-whelming advantage of air power has occurred through preparation, NOT execution. Sun Tzu’s Art of War proposes “every battle is won before it’s ever fought.” In the same context, being organized, trained, and equipped for air supremacy negates the chance of engaging in air parity. Thus, there is no point in time when losses of any significant value are sustained. On the other hand, air superiority can have areas and degrees of contestment and, more importantly, attrition. An air force should always strive for air supremacy and not be content with air superiority. For the USAF, which must maintain both the capability and capacity to respond globally, air supremacy is an imperative, not an option. Senior leadership quotes describing the USAF as “the best air force in the history of the world” and how it’s now in its “24th consecutive year of combat operations” are taken out of context to the uninitiated. Realize that no one in the active US military today has been engaged in a conflict where the enemy put up a meaningful resistance to air operations. While partly due to the nature of counter-insurgency operations, when an enemy has challenged the air domain long-term investment in air supremacy has prevented a battle of air parity. This preparation actually started in the late 1970s when the USAF realized it was on an eerily similar downward slope as it is today and invested in force modernization, emphasizing qualities of speed, stealth, stand-off, and precision to counter Soviet quantity. Short-sighted, politically-driven fiscal decisions create long-term risk to air supremacy that simply can’t be undone. Imagine the difference in discussions today regarding force projection and highly-contested operations if the USAF had acquired 750 F-22s as originally intended instead of 183. A false sense of security from miscomprehension has created a biased expectation that the pace of modernization (i.e. organize, train, and equip) can rest on its laurels and assume the world will remain unchanged. This is simply not the case. For example, when the F-15 was first delivered to the USAF in 1972, it was an “air superiority fighter.” Today, 43 years later, it is more accurately defined as an “air-to-air fighter” because the systems around the world that challenge air superiority have improved dramatically, changing the dynamic. In 2012, the USAF had 5,672 aircraft. This number included 1,221 training aircraft/gliders as well as 248 VIP transport aircraft. The average age of the fleet at that time: 28.5 years and only 18% of the fleet was less than 10 years old. This sounds like an impressive number, but by historic comparison, it was not. In 2003, the Iraqi Air Force buried their planes instead of taking to the skies against the coalition. In fact, more fixed-wing aircraft were lost in fratricides (one F-18 and one Tornado GR4 were shot down by US Army PATRIOT fire units) than in combat (the sole fixed-wing loss was an A-10). The state of the USAF in 2003: 6,073 aircraft with an average age of 24 years. While UN sanctions, as well as Operations SOUTHERN WATCH and NORTHERN WATCH can be considered enablers, preparation for air supremacy prevented a battle of air parity. In 1999’s Operation ALLIED FORCE, Serbian forces used 1960s/1970s SA-3 and SA-6 surface-to-air missiles (SAMs) to threaten the NATO coalition in the most formidable air defense the modern USAF has faced. Although the Serbians only had 41 of these SAM systems, they shot an estimated 665 SA-3 and SA-6 missiles at coalition forces. A vast majority of these were unguided for fear of the radar site being attacked by HARM anti-radiation missiles, a lesson learned and quickly adopted worldwide after observing Operation DESERT STORM. In fact, the coalition employed 743 AGM-88 HARMs (equivalent to depleting 13% of today’s entire US inventory), with only 11 of 16 SA-3 LOW BLOW radars and 3 of 25 SA-6 STRAIGHT FLUSH radars being destroyed. Despite the perceived tactical failure, this is easily viewed as a technological operational success. Of all the missiles fired at the coalition, there were only three notable incidents in the 10,500 sorties flown into the air defenses (one F-16 and one F-117 were shot down while another F-117 received battle damage). The state of the USAF in 1999: 6,203 aircraft with an average age of 21 years. Preparation for air supremacy with SEAD tactics and equipment that was well-suited for the conflict prevented a battle of air parity to achieve air superiority. In 1991, Operation DESERT SHIELD positioned 2,500 coalition aircraft to counter the roughly 700 aircraft of the Iraqi Air Force. During the first week of Operation DESERT STORM almost half of the Iraqi fighter force fled to Iran rather than face the coalition. Out of 116,000 sorties flown, the coalition lost only 37 fixed-wing aircraft in combat. Of these, 75% of the losses were due to air defense artillery (ADA) and 1970s infrared missile systems; more fixed-wing aircraft were lost to mishaps and flying into terrain than to SAMs. 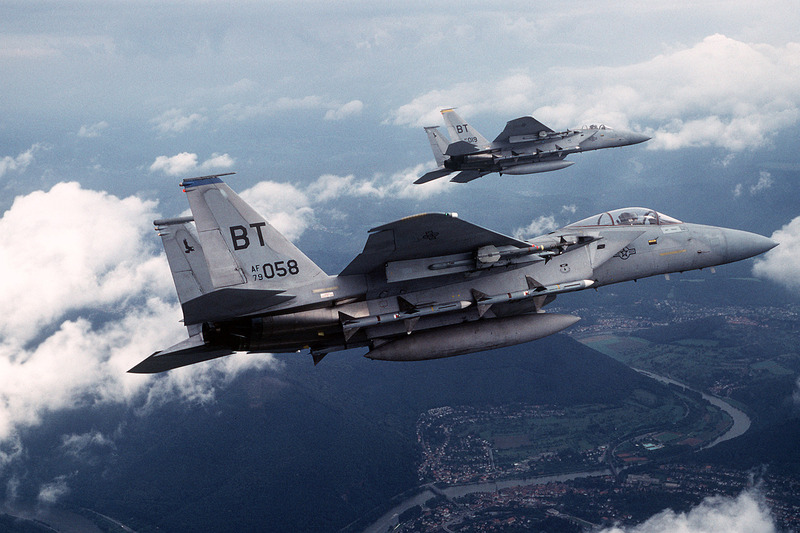 The state of the USAF in 1991: 8,510 aircraft with an average age of 16 years. Again, being prepared for air supremacy prevented a battle of air parity. In Vietnam, much has been written about how the MiG-17 and MiG-21 challenged and outperformed superior US fighters and how the introduction of the SA-2 changed battlefield dynamics. Although the USAF did lose 2,251 aircraft during the war, only 270 of these were lost to MiGs and SAMs (90 and 180 respectively). Almost double the losses were non-combat related and 77% of all USAF aircraft losses (1,737) were due to ADA. Luckily, during the 14-year conflict the North Vietnamese systems remained postured defensively and lacked a force projection capability. 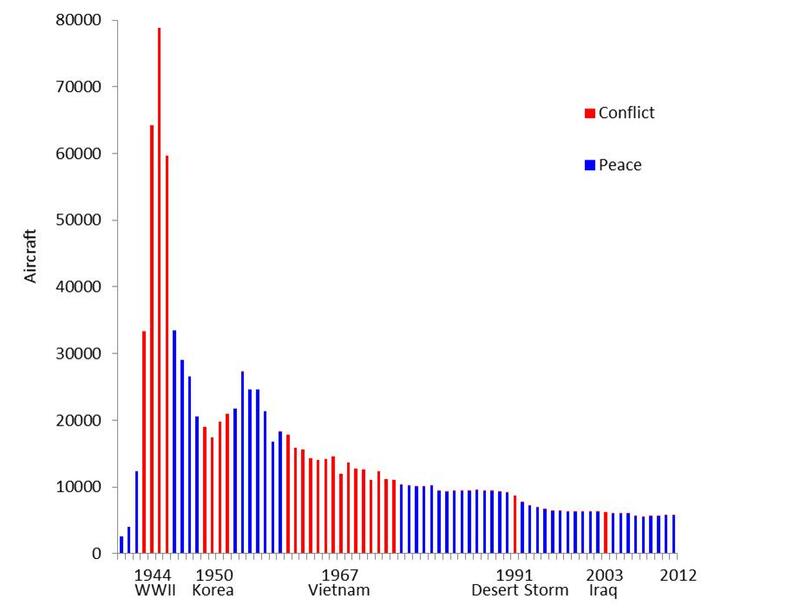 Because of this, air parity existed over North Vietnam while air supremacy existed over the rest of Southeast Asia. Combat attrition per sorties flown was actually lower than Operation DESERT STORM. The state of the USAF in 1972: 10,971 aircraft with an average age of 9.7 years (48% of the inventory was less than 10 years old). The Korean War was quite different. Despite the exploits of the air war, US losses to air combat only comprised 10% of all combat losses (and only 5% of all US aircraft lost). Air parity existed in pockets around North Korean ground positions and the Yalu River (better known as MiG Alley), but preparation (namely equally-capable equipment and better training) enabled air superiority. For the first six months of the Korean War, the US F-80 enabled air superiority by outclassing the North Korean Yak-3, Yak-7, and Il-10. On 1 November 1950 the first MiG-15 was encountered over the skies of Korea; seven days later the first F-86 deployed from the US. 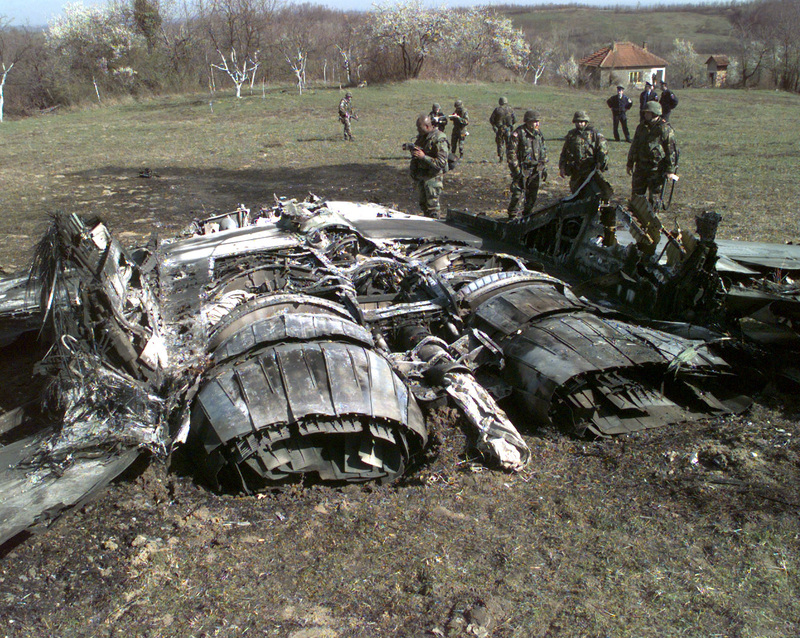 Within twelve months, MiG-15s numbered approximately 525 compared to only 89 F-86s. In a manner not unlike how massive quantities of poorly-trained Allies produced numerous German Aces in WWI and WWII, the average MiG-15 pilot only received six weeks of rudimentary training. By comparison F-86 pilots received 18 months. By the latter stages of the war, all of the MiG-15 instructors had been shot down and the remaining inexperienced pilots were on their own. North Korea had to rely on their overwhelming number of fighters compared to the US, with disastrous results. 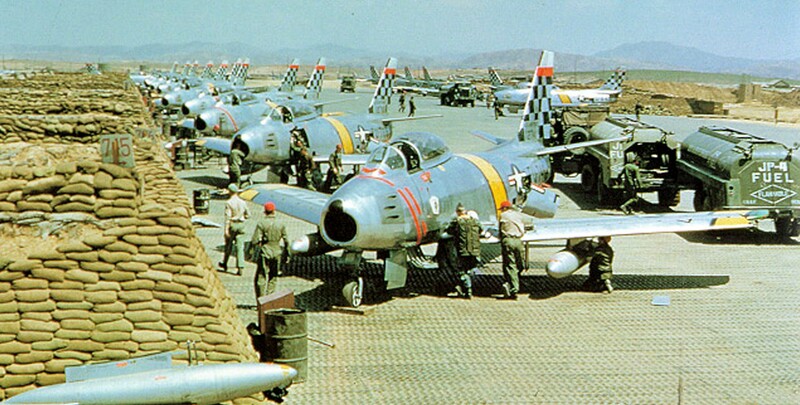 Between March and July 1953, 225 MiG-15s were shot down to a loss of only 10 F-86s, and the Korean War would eventually produce 41 US Aces (39 Air Force, 1 Navy, and 1 Marine). The state of the USAF in 1950: 18,927 aircraft with an average age of 4.7 years. While Vietnam marked the last time air superiority was truly challenged, investing in air supremacy has contributed to ensuring the USAF has the capacity and capability to enable and support the joint force. With today’s fiscal environment, the need for Airmen to comprehend airpower has never been more important. Similarly, education among the joint force requires airpower advocates at all levels. Inevitably, there are numerous technological breakthroughs that will continue to evolve airpower and the forces that exist to counter it. Investment in continual modernization to pursue air supremacy ultimately benefits the joint force through swift, decided airpower projection that will continue to make airpower an asymmetric advantage now and in the future. Once the command of the air is obtained by one of the contended armies, the war must become a conflict between a seeing host and one that is blind. Major Mike “Pako” Benitez is an instructor Weapons System Officer in the F-15E Strike Eagle with over 1,000 combat hours spanning multiple deployments. A prior-enlisted Marine and graduate of the US Air Force Weapons School, he has been involved in operational-level crisis action planning in both CENTCOM and EUCOM and has recently completed a Defense Advanced Research Projects Agency (DARPA) fellowship. ← What Kind of Airpower Does a Country like France Need? Pako, great stuff. As I read this, I wanted you to wrap it up by taking it to the next level. What does sustaining air superiority look like in the future? Maestro, thanks for the comments. Unfortunately I ran out of space in this article to pull on that thread. In my humble view ensuring future air superiority will require a traditional high-low mix using historically nontraditional resources. The “lows” will be lower to manage cost-exchange while retaining current capabilities (think A-29 and touch-points between AFSOC and ACC). The “highs” will be higher to counter the ever increasing threat to personnel (and mission). A SoS architecture (I personally prefer to call it a “multi-mode/multi-node (M2/MN)” system), would cap the high-end of the force mixture. Great segway into something else I am working on that’s a bit longer than this forum…stay tuned.